Kendall Jenner at the 2015 ESPY Awards. Close-up of Kendall Jenner at the 2015 ESPY Awards. 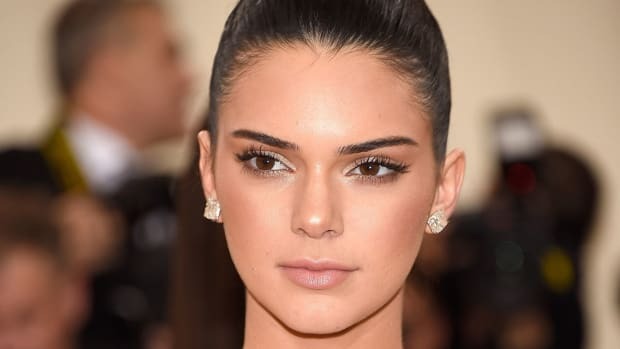 I love how Kendall does all of Kim Kardashian&apos;s signature beauty moves—but better. (I wonder how Kim feels about that!) As per usual, she looks gorgeous here, in centre-parted hair tucked behind the ears, glossy pink lips and dramatic long false lashes. You know how I usually feel about the latter, but somehow, she&apos;s pulling them off. I think it&apos;s the fresh skin texture (versus Kim&apos;s usual pancake makeup) that makes all the difference. That said, whatever brightening/concealing product she used on the mid-face is a fraction too light compared to the rest of the foundation. Halle Berry at the 2015 ESPY Awards. 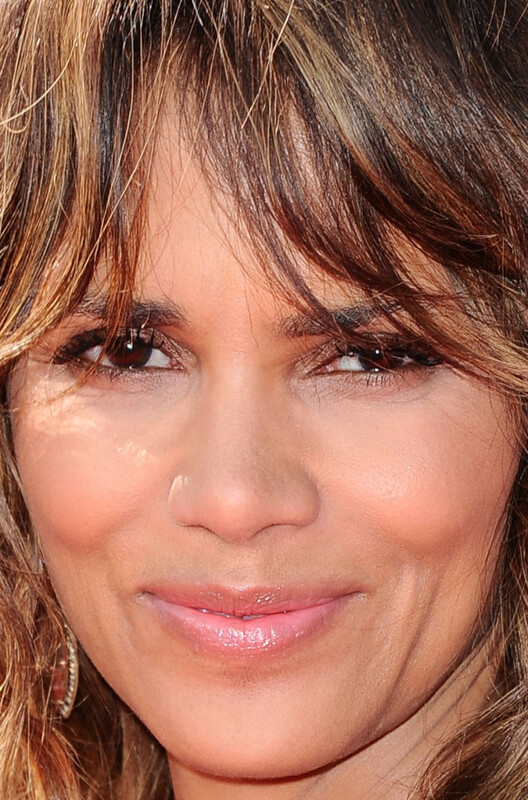 Close-up of Halle Berry at the 2015 ESPY Awards. Halle went for the tousled, textured look in a big way, and I&apos;m in favour. (I suspect it&apos;s just the lighting that&apos;s making it look a tad fuzzy.) Her colour is great as well; the caramel highlights are super-seamless and perfect for her skin tone. Makeup isn&apos;t exciting, but then again, Halle&apos;s never is. She kept it soft and smudgy around the eyes, with just a slick of sheer pink gloss, keeping the focus on her beautiful complexion. Rachel McAdams at the 2015 ESPY Awards. 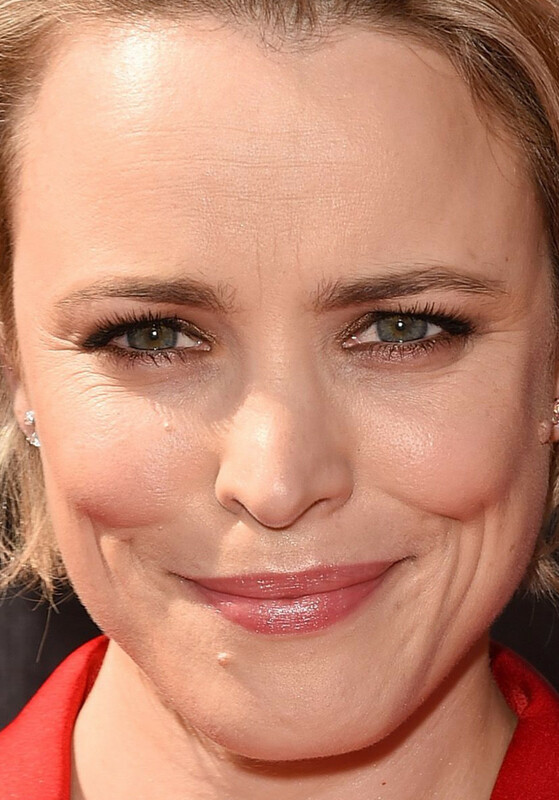 Close-up of Rachel McAdams at the 2015 ESPY Awards. Rachel keeps popping up on red carpets lately, and I don&apos;t think we&apos;ve seen this much of her in years! I have to say, this short bob isn&apos;t my favourite for her—even though I like the way she&apos;s styling it, all casually swooped off her face. The makeup is minimal, which is fine, but between that and the hair, I&apos;m left wanting something more... know what I mean? Britney Spears at the 2015 ESPY Awards. 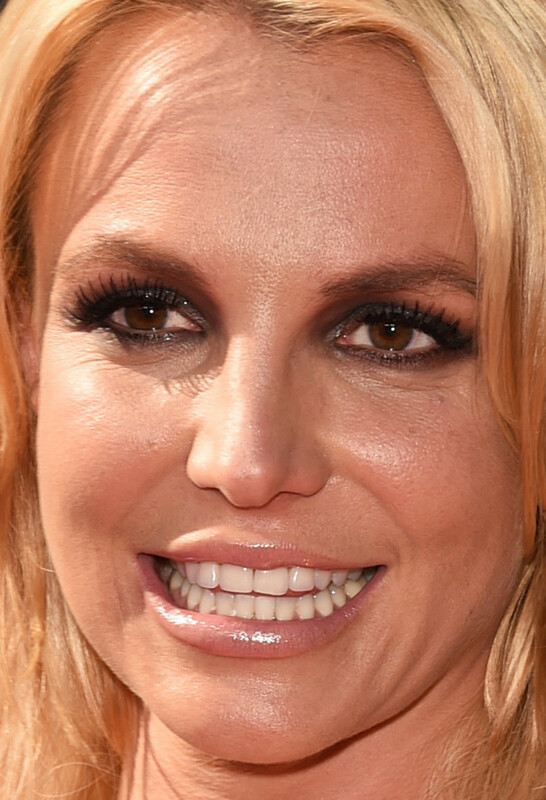 Close-up of Britney Spears at the 2015 ESPY Awards. Shame that Britney got stuck with the bad lighting—or is it also her eye makeup that&apos;s making her look so shadowy? It&apos;s way too heavy, especially the darkness at the inner corners—shading there is almost always a bad idea. But there are other issues, like the brassy hair and then spray tan. Wouldn&apos;t it be great to get Britney out of the mid-&apos;00s and into 2015? Hannah Davis at the 2015 ESPY Awards. 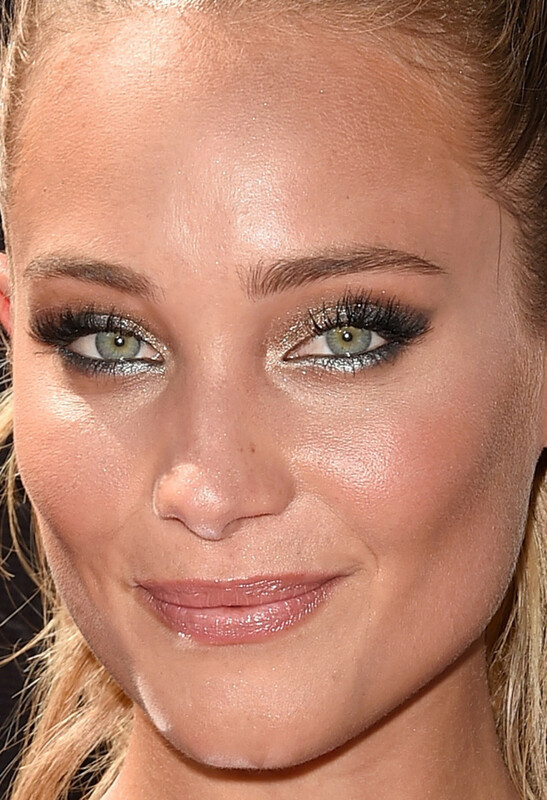 Close-up of Hannah Davis at the 2015 ESPY Awards. Hannah is obviously a hottie, but boy she wears a lot of makeup! 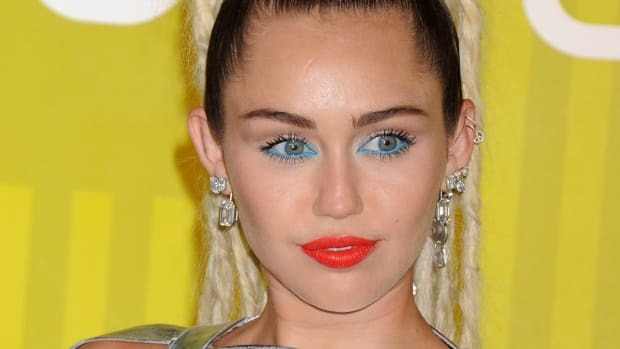 This shimmery, multi-coloured smoky eye is actually very pretty with her eye, skin and hair colours—I especially love the aqua under the lower lashes—but why oh why did she have to add the false lashes on top?! It could&apos;ve been very runway without their tackifying effects. Oh well, at least her skin is insane, and I love the high ponytail. Ciara at the 2015 ESPY Awards. 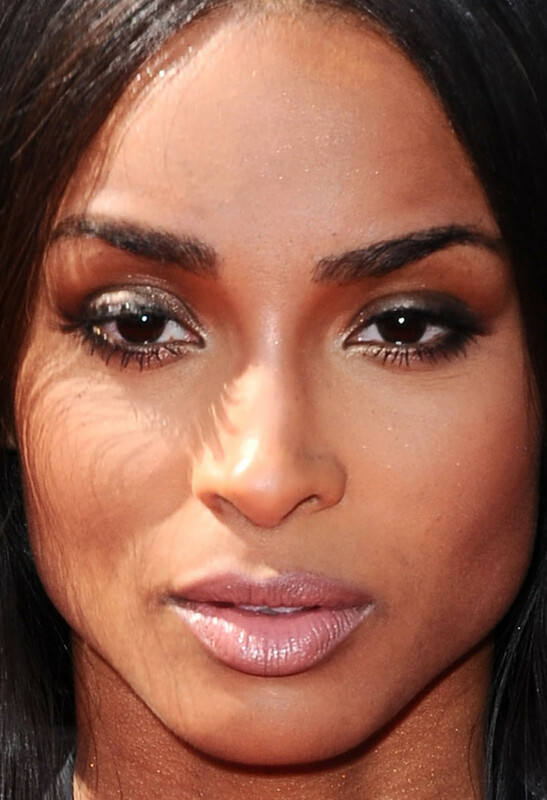 Close-up of Ciara at the 2015 ESPY Awards. I really like her centre-parted hairstyle, but I truly miss Ciara as a bronde. (It was so good! Remember this?) 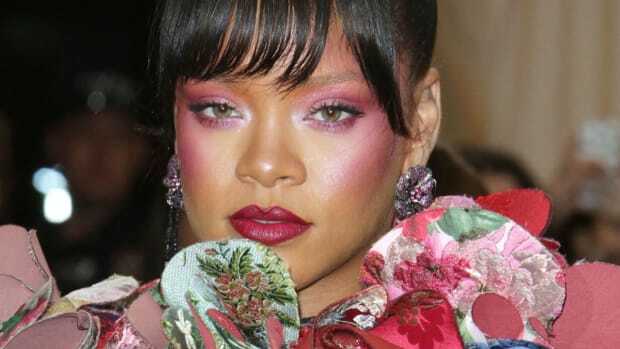 Her makeup looks good: classic brown and black smoky eyes with chiseled cheekbones and a sheer mauvey-pink on the lips. I appreciate that she didn&apos;t go cray on the lashes. 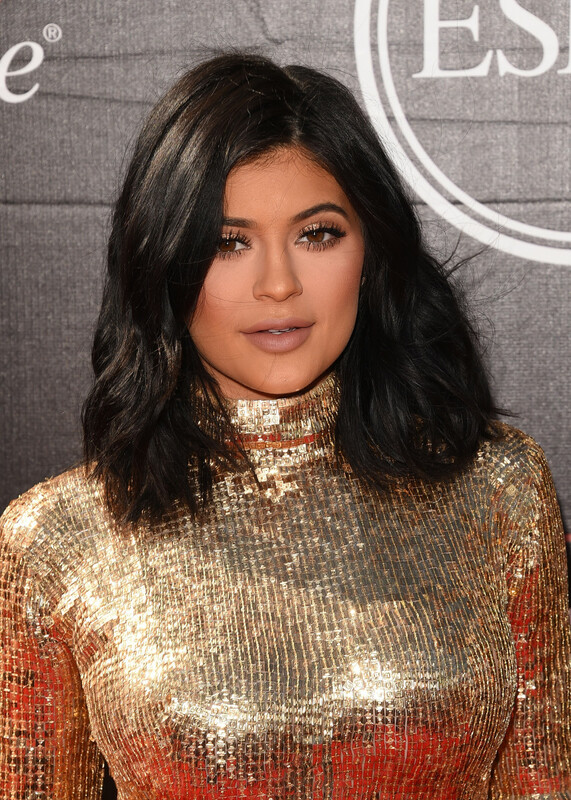 Kylie Jenner at the 2015 ESPY Awards. 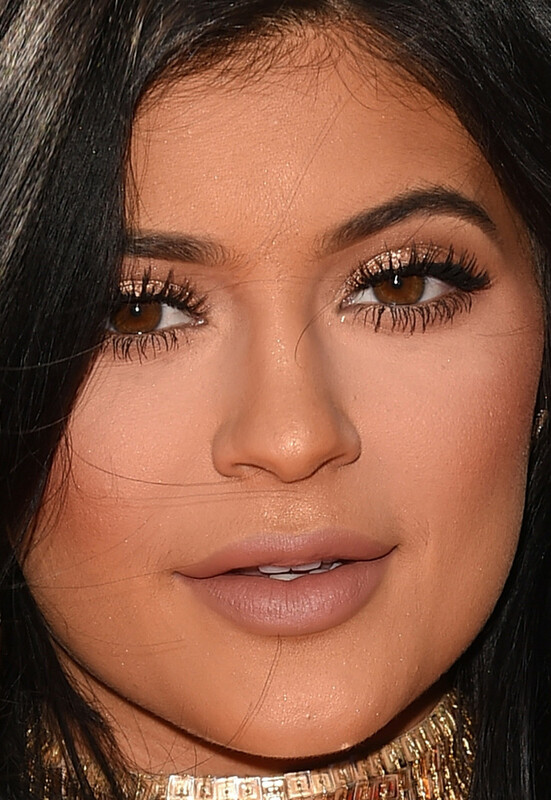 Close-up of Kylie Jenner at the 2015 ESPY Awards. Eeks, so much to talk about with this one! Kylie looks like no 17-year-old I&apos;ve ever met, wearing corpse-like greige lipstick and heavy, Kardashian-style lashes. Speaking of heavy... that&apos;s the thickest application of concealer I&apos;ve ever seen, all through her mid-face. (Surely a couple dark circles aren&apos;t worse than this?!) But I will say something nice. I like her hair, and the gold eyeshadow, and at least her lips are less inflated than in the past. Lindsey Vonn at the 2015 ESPY Awards. Close-up of Lindsey Vonn at the 2015 ESPY Awards. The shadowy lighting strikes again! Lindsey&apos;s makeup actually stands up fairly well in it, and I think her hairstyle is fabulous. Very Gwyneth Paltrow circa the 2007 Oscars. The colour could be richer, though—see the diff between celebs and everyone else? Danica Patrick at the 2015 ESPY Awards. Close-up of Danica Patrick at the 2015 ESPY Awards. Oh noes. Danica&apos;s half-up bouffant might&apos;ve worked on someone like, say, Victoria Justice, but on her it&apos;s just looking dated. This dress needed something sleeker, close to the head and, ideally, up. Makeup&apos;s not bad, but the bronze liner under the eyes is a little heavy. Alex Morgan at the 2015 ESPY Awards. Close-up of Alex Morgan at the 2015 ESPY Awards. I must applaud Alex for taking a huge risk! I mean, when do you ever see non-celebs and non-celebs doing this kind of wet-look, slicked-back hair? I think she pretty much pulls it off, although I don&apos;t like the choice of earrings. I&apos;d probably soften the brows and go a little fresher on the makeup—otherwise it&apos;s a disconnect paired with this kind of hair. Hope Solo at the 2015 ESPY Awards. Close-up of Hope Solo at the 2015 ESPY Awards. Hope did well, I think. Her hair colour is great with her skin tone, and the soft makeup is very pretty, and very appropriate. I feel like she must have cheek fillers that aren&apos;t quite in the right position—are you seeing this? Ronda Rousey at the 2015 ESPY Awards. 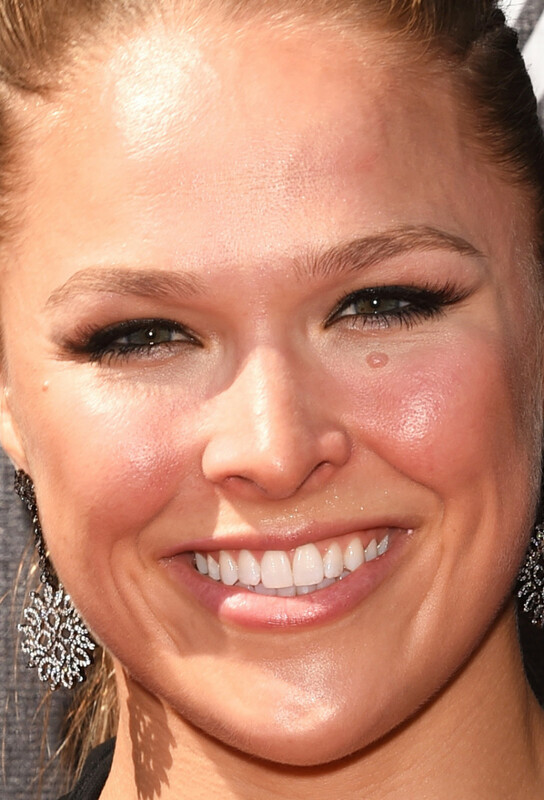 Close-up of Ronda Rousey at the 2015 ESPY Awards. I like this one! Ronda went all sleek and strong with her hair back in a tight ponytail. It shows off her perfect complexion, which is the star here, along with her tightlined eyes. Caroline Wozniacki at the 2015 ESPY Awards. Close-up of Caroline Wozniacki at the 2015 ESPY Awards. Not a bad effort by Caroline. I could do without the spray tan and thick eyeliner, and it might be nice to see more volume in her hair. I have a feeling the lighting is stealing a bit of her pretty. 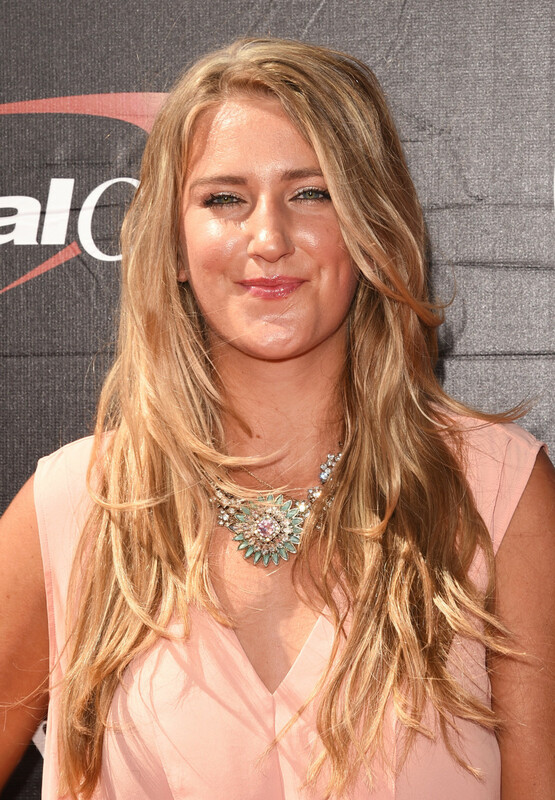 Victoria Azarenka at the 2015 ESPY Awards. 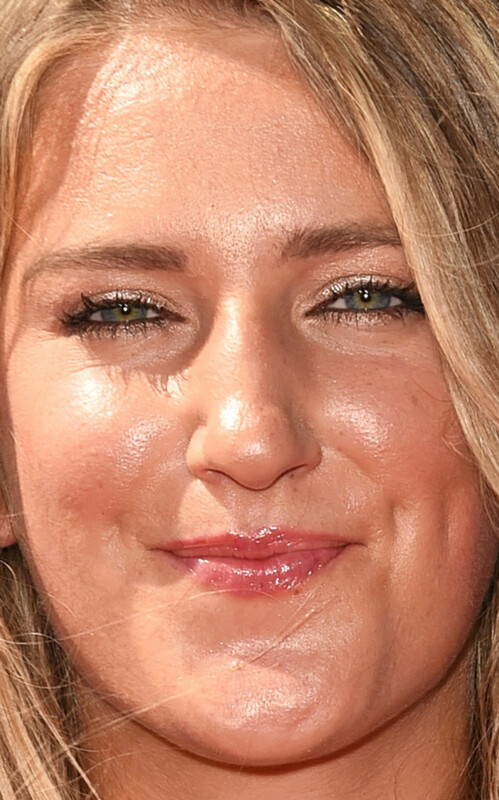 Close-up of Victoria Azarenka at the 2015 ESPY Awards. Well, Victoria could have stepped it up a little. Sometimes, tousled hair is okay, and sometimes (like here), it just looks like you didn&apos;t try. We&apos;re really moving away from this separated look, so even just brushing it out would&apos;ve helped. But it would show off the necklace more if she wore it up or back. I&apos;ve got no complaints on the makeup. Amy Purdy at the 2015 ESPY Awards. Close-up of Amy Purdy at the 2015 ESPY Awards. Amy is so pretty, and did a beautiful job on her hair—I love this kind of effortless volume and texture. A few tweaks on the makeup. Her foundation seems a shade too light, and I&apos;d like to see her brows less drawn-on, plus less mascara. Shawn Johnson at the 2015 ESPY Awards. Close-up of Shawn Johnson at the 2015 ESPY Awards. Shawn has such a great hair colour, but I&apos;m not sure what&apos;s going on here with the style. If it were more defined, maybe the dramatic black liner could&apos;ve worked. But as it is, the effect is very dated—especially with the lid shading, which is like stage makeup to me. Good call on the matte lips, though!